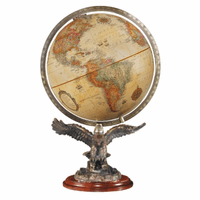 An elegant accent for the desk at home or office, the Atlas Desk Globe by Replogles can provide hours of enjoyment and education! 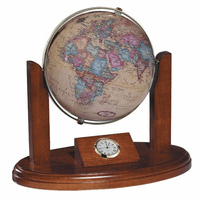 The globe is 12" in diameter, with an antique white ocean finish. 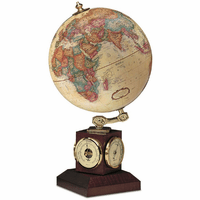 Countries are delineated in harmonious shades of brown, and the globe is set in a full numbered meridian. 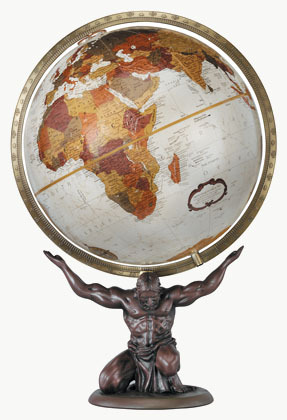 The meridian is set in a bronze resin stand, featuring a replica of Atlas holding the world on his shoulders. 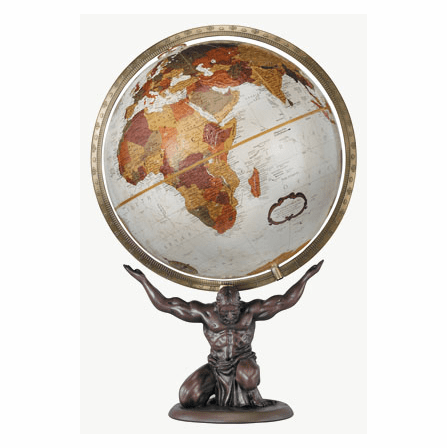 The overall effect is dramatic and eye-catching for any space! 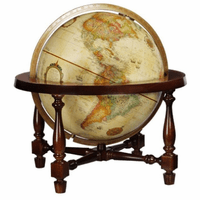 Dimensions: 13" x 12" x 20"